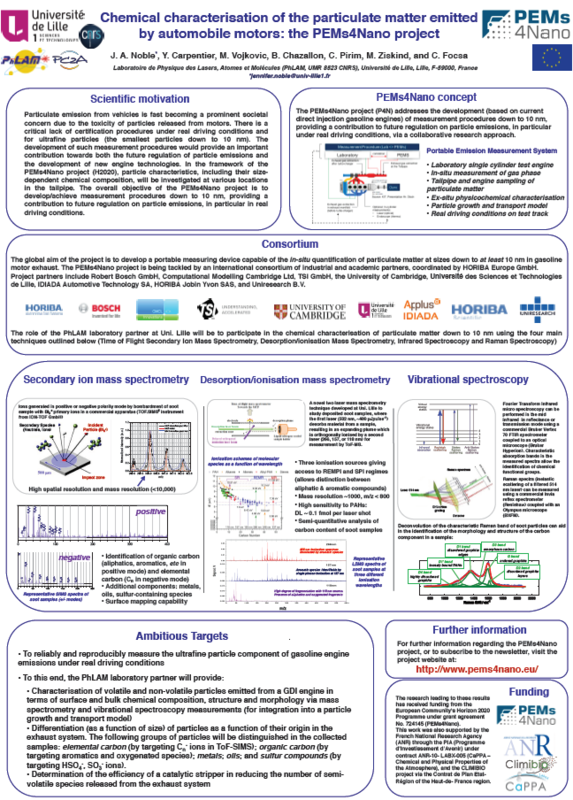 At the European Aerosol Conference (EAC) 2017 a poster about the PEMs4Nano project has been presented by the University of Lille. The poster was presented in a session called “Mobile Sources of Combustion Aerosol” which concerned aerosol particles generated by vehicles. In this session there was also a poster presented by the DownToTen project team, who are also working on characterising nano sized combustion aerosol.